Join us for an evening of Broadway and Cabaret music and merriment! 7 PM cocktails, appetizers, cash bar. 8 PM show time, featuring Lucille Kincaid on keyboard! Don’t miss! One night only! 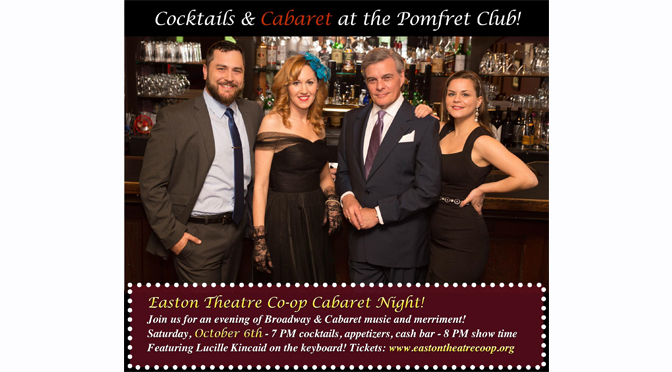 Contact the Pomfret Club and schedule dinner before our show: 610-258-7641. Support the Arts in Easton!